Steve Hackett is probably best known for playing guitar in the groundbreaking progressive rock group Genesis. Joining the band in 1971 for the album Nursery Cryme, the guitarist stayed with Genesis through 1977's Wind & Wuthering before departing for a solo career. Hackett has since recorded a number of solo albums in a variety of styles, covering world music, Brazilian rhythms, classical, blues and more. In 1986 he formed the supergroup GTR with Yes guitarist Steve Howe, which lasted for one album. In more recent years Hackett has primarily focused on solo work. 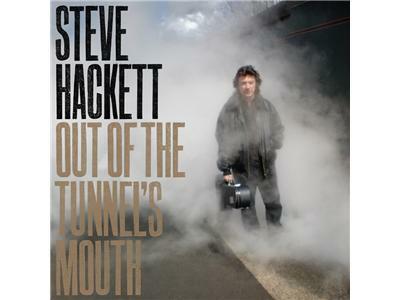 In 2010 Hackett was inducted into the Rock and Roll Hall of Fame as a member of Genesis, and he recently released an album entitled Out of the Tunnel's Mouth. Last month he performed at the High Voltage Festival in London, and he has announced an upcoming band project called Squackett which will pair him with Yes bassist Chris Squire. Steve Hackett joins us on Long Live Rock to discuss his new album, tour, the High Voltage festival, Squackett, and much more!